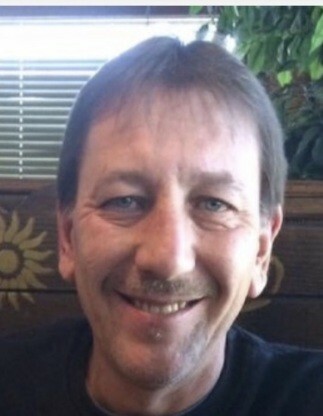 J. Bradley Ewing, 54, of Royal Center passed away at 11:08 p.m., Sunday, March 31, 2019 at Lutheran Hospital in Ft. Wayne. Born on July 19, 1964 in Indianapolis, he was the son of Joseph Oliver and Maggie Kuchaes Ewing. He was a 1982 North Newton High School graduate. Brad was formerly employed at Whallon Machinery in Royal Center for almost 30 years. He enjoyed fishing and mushroom hunting. Survivors include his son, Joseph O. Ewing of Royal Center, mother, Maggie Thomas of Sun City, Arizona and sister. Barbara Hrybyk (Chuck) of Osceola. He is also survived by numerous aunts, uncles, nieces, nephews and cousins. He was preceded in death by his father, Joseph Oliver Ewing and step mother, Janet Elaine Ewing. Services for Brad will be at 3:00 p.m., Saturday, April 6, 2019 at Harrison-Metzger-Rans Funeral Home & Crematory with visitation from 1:00 p.m. until the time of the service. Memorial contributions may be made to Innovative Martial Arts in Logansport. Please sign Brad's online guestbook or leave a condolence for the family at www.ransfuneralhomes.com.